Sir David Logan was British Ambassador to Turkey from 1997 to 2001, having first served in Ankara between 1965 and 1969. For most of his diplomatic career he specialised in east-west relations and in defence policy. He was Assistant Under Secretary of State for Central and Eastern European Affairs, and for Defence Policy during the 1990’s. In retirement he has been Director of the Centre for Studies in Security and Diplomacy at Birmingham University (where he holds an honorary doctorate), a Senior Fellow of the Institute for Strategic Dialogue, and Chair of the British Institute at Ankara. Only ten years ago, the defining features of Turkey were its multiparty democracy and its membership of NATO for more than sixty years. It was the bastion of the Alliance’s southern flank, with EU accession negotiations in progress since 2004, and an economy growing faster than all others in the world apart from China’s. Now among what defines it are the challenges posed by terrorism, regional instability, Russian opportunism, and a breakdown of relations with the EU. What accounts for this? 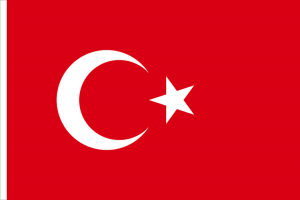 Part of the background lies in the transformation of the Ottoman Empire into the Turkish Republic and the states artificially created after the First World War. The current turmoil and crisis in states carved out by Sykes and Picot demonstrate a western failure to understand the inapplicability of the nation state notion to a region where identity was traditionally derived from ethnicity, tribe or sect. How this has impacted Turkey can be divided into four parts. First, the Cold War era; secondly, the period after the collapse of the Soviet Union, which unleashed tensions and conflicts which had been frozen during the East/West confrontation; thirdly, the revolutionary policies pursued by Erdogan governments after 2002; finally, the post-Arab spring period, in which Turkey has become increasingly entangled in Syria, and the region destabilised by powerful outsiders, for whom Syria has become the cockpit for a proxy war. 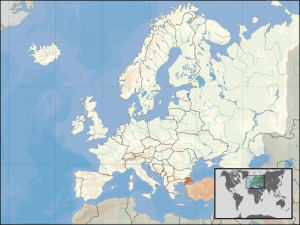 During the first phase Turkey had great strategic importance: it shared a border with the Soviet Union and, across the Black Sea, with other Warsaw Pact States; and it controlled Soviet access to the Mediterranean via the Bosphorus. During the second phase the tectonic plates started to shift and hitherto suppressed nationalist, ethnic and sectarian differences in the Balkans and the Middle East became evident. The violent dismemberment of Yugoslavia and U.S. determination to oust Saddam Hussein were among the difficult policy challenges that Turkey faced. After 2002 the new AKP government embarked on a fundamental foreign policy review. Unlike its secularist, military-influenced predecessors, it viewed political interest, trade and historical relationships as important drivers and saw Turkey as lying at the centre of a region of its own. For a period, this new approach (‘zero problems with neighbours’) seemed very successful: trade with Arab neighbours burgeoned and historical connections revived. But not for long. In 2011 the fall of the Mubarek regime in Egypt, the outbreak of civil war in Syria and continuing threats to the territorial integrity of Iraq, raising the prospect of an independent Kurdistan, ushered in the current phase. The Syrian conflict has been particularly problematic. For several years Russia, Iran and Turkey were bitter rivals, supporting different sides: Russia and Iran backed the Syrian regime, providing military, financial and political support, while Turkey assisted the Syrian opposition and provided a safe-haven for its political and military leadership. The relationship with the United States was deeply tested by Obama’s loss of nerve on the issue of Assad’s chemical weapons, and by the heavy reliance that the United States placed on the Kurdish forces in Northern Syria, the PYD, as these are closely linked to the PKK, the terrorist organisation which has been waging war inside Turkey for more than thirty years. Turkey’s EU accession negotiations are moribund, with on the one hand an increasingly xenophobic and anti-Muslim Europe, and on the other a Turkey for which compliance with the membership criteria is becoming increasingly remote. Recently, Turkish relations with Russia have been warming, partly because Turkey now sees cooperation with Russia (and also China) as a way of demonstrating its semi-detached and deteriorating relationship the West. Russian acquiescence enabled Turkey to launch its first large-scale military operation inside Syria in August 2016, when Turkish troops and Turkey-backed Syrian opposition factions recovered more than 2,000 square kilometres from ISIS and the SDF on the western bank of the Euphrates. Other serious issues divide Turkey and the United States. These include the fate of Fethullah Gulen, the alleged leader of the abortive 2016 coup attempt, who lives in Pennsylvania and whose extradition has so far been refused; an apparent Turkish intention to purchase Russian S-400 missiles, which would pose a serious risk to the effectiveness of NATO systems; Turkish complicity, at the highest levels, with Iranian sanctions-busting and money laundering; and undisclosed U.S. selectivity of application of sanctions against Turkey in the Iran context. To sum up a gloomy picture. No country other than the United States and China can safely operate outside a framework of stable relationships which enable it to maximise opportunity and to reduce risk. Turkey used to possess this, through its strong support for NATO, the transformative impact of the EU accession process, and the ‘zero problems with neighbours’ policy introduced at the start of the AKP era. That has all gone and has been replaced by an opportunist and transactional approach to foreign policy. This makes Turkey vulnerable to events outside its control and to the policies of important actors whose interests may or may not coincide with Turkey’s. One of these is the United States, a failing superpower, whose policies are unpredictable. A second is Russia, a complex and volatile partner. A third is Iran, on which Turkey is very dependent for gas supplies but which is a major Shiite regional rival to Sunni Turkey. A fourth is the EU. The EU has not treated Turkey well. But Turkey has a Customs Union agreement with the EU; the EU is the main destination for its exports; and its infrastructural and institutional links are with Europe. There is no upside for Turkey in distancing itself from the EU.